You are captains during a period that pepper is worth more than gold and your goal is to gain control of the Trading Company. You sail across the sea trying to find cargo for your ship, you fire with your cannons to destroy other ships or you board your enemies’ ships to steal their cargo. Become the master of the pepper trade and you will take control of the Trading Company. On your turn, you can move according to the amount of sails you have on your ship, take cargo from one of the four islands, trade and upgrade or repair your ship. Furthermore, when you are on the same tile as another captain, you may both decide if you are going to attack with your cannons or board the enemy ship. 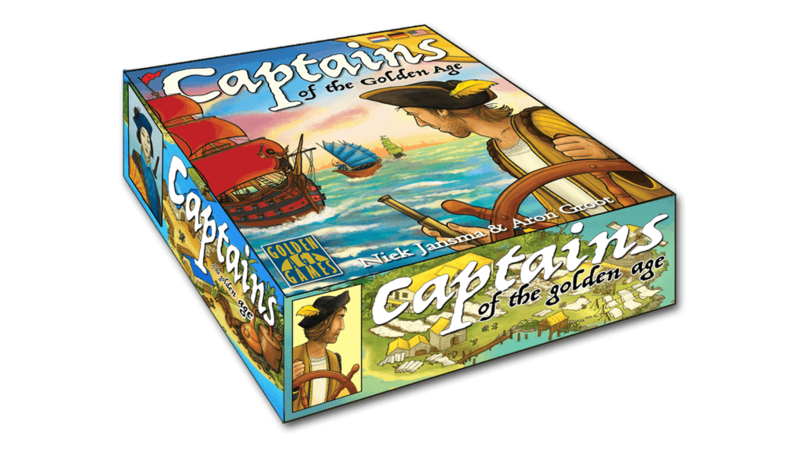 Captains of the Golden Age is an adventure and exploration game, which is not based on luck and offers a lot of replayability.